The Massachusetts Bay Colony was established in the 1620s. Its relationship with London was seldom easy, but it became increasingly troubled in the 18th century. (See separate page, A Brief History of Boston to 1775.) By 1775, serious tensions between British royal authorities and American colonists had been building for at least a decade. By 1775, both sides had come to recognize that armed confrontation was at least a strong possibility, if not inevitable. The Americans were disgusted by the corruption of the English colonial system, and they wanted to move toward self-government. A series of insensitive, high-handed actions by the British authorities starting in 1765 fed a growing outrage in the colonies: the Stamp Act, the Townshend Acts, a British show of force in Boston Harbor and stationing of British troops in the town, and the so-called Boston Massacre of 1770. The Coercive Acts of 1774 (the Intolerable Acts to the colonists) closed the port of Boston, abrogated the charter of Massachusetts, curtailed town meetings, and created a new court system in the colonies. With each new measure, more colonists came over to resistance, and lines were drawn more sharply among various groups: the increasingly restive Sons of Liberty, organized in 1765; the Tories, for whom allegiance to the Crown was paramount; and the unpopular British officials and troops. The Yankees became adept at organizing their resistance. Leadership was decentralized and acts of resistance were carried out in secrecy by small cells, but communication was nonetheless quick and efficient. Three Yankees in the town of Boston, then a small city of 15,000, enjoyed high stature: Samuel Adams, John Hancock and Dr. Joseph Warren. The three were gentlemen-revolutionaries  Hancock was the richest man in Massachusetts  and were active in the committee of safety, which organized the militia and gathered stores. They were prominent in responses to Crown efforts to bring the colonists to heel. In September, 1774, Warren prepared for Suffolk County the Suffolk Resolves as a response to the Intolerable Acts, and it was adopted for the colonies as a whole by the Continental Congress then meeting in Philadelphia. The document embraced positions that were tantamount to rebellion. In the tense prevailing atmosphere in Boston, Adams and Hancock left town for the countryside; Warren alone remained in Boston. British General Thomas Gage, commander in chief of British forces in North America, was increasingly alarmed by defiance to the Crowns authority demonstrated by the Yankees, and he was under new and strict orders from London to establish control. Gage wanted to prevent military conflict, and he adopted a strategy of gathering up arms, always in short supply, that were available to the colonials. In late 1774 and early 1775, he carried out operations toward that end  successfully at Powder House north of Boston, but unsuccessfully at Portsmouth and Salem, where on the one hand he failed to prevent further dispersion of arms supplies, and on the other further aroused colonial ire. By April, thanks to good Yankee intelligence (the best-placed spy may have been Gages American wife), colonial leaders knew that Gages next target was sizable stores of arms and powder at Concord, about 20 miles from Boston. On the night of April 18, the signs were clear that British troops were about to set out for Concord under cover of darkness, and the alarm had to be sent. The British had their own well-placed spy, and they knew that the colonials would try to warn Concord, so Gage ordered that the roads be patrolled intensively that night. Dr. Warren sought urgently to contact William Billy Dawes and Paul Revere. He was certain (but evidently wrong) that the British, in addition to their mission of seizing military stores, meant to capture and detain Adams and Hancock, who were then staying at the Clarke-Hancock house in Lexington. His only instruction was to deliver them a warning. Billy Dawes responded first to the summons. The thirty-year-old Billy, a tanner by trade, was a good choice to get the message through. Like Revere, he was a trusted member of the resistance. He probably took part in the Boston Tea Party, though danger of arrest required strict secrecy, and it is difficult to confirm any particular individuals participation. Billy was often about, and he collected intelligence on the British, sometimes acting the part of a bumpkin, quaffing a pint and listening to conversations in the tavern, or wearing a floppy hat and making his way slowly down the road on horseback. He is credited with planning and carrying out the surreptitious capture in October, 1774, of two cannon stored in a gun house on Boston Common and guarded by two British grenadiers. He and his mates snuck the cannon out a back window and hid them in a schoolhouse until they could be moved to a more secure place. While moving the heavy cannon, Billy suffered an injury to his arm and was treated by Dr. Warren. The cause of the injury would have been obvious to Dr. Warren, but discipline forbade that either of them discuss the matter. A brief note here about the Old North Church: even though it does not involve our man Billy, it is a focus of confusion, one of several misunderstandings fostered by Longfellows famous poem written 86 years after the ride. The colonials planned carefully, and they knew that to improve the odds that a message to Lexington would get through British patrols that night, they needed multiple channels. Dr. Warren used three. One was the land route, on which he sent Billy Dawes. Another was by boat across the Charles River to Charlestown and from there by road, and on this one he sent Paul Revere. Finally, in case neither of these messengers made it, a signal was prearranged with colonists watching from the river bank in Charlestown. 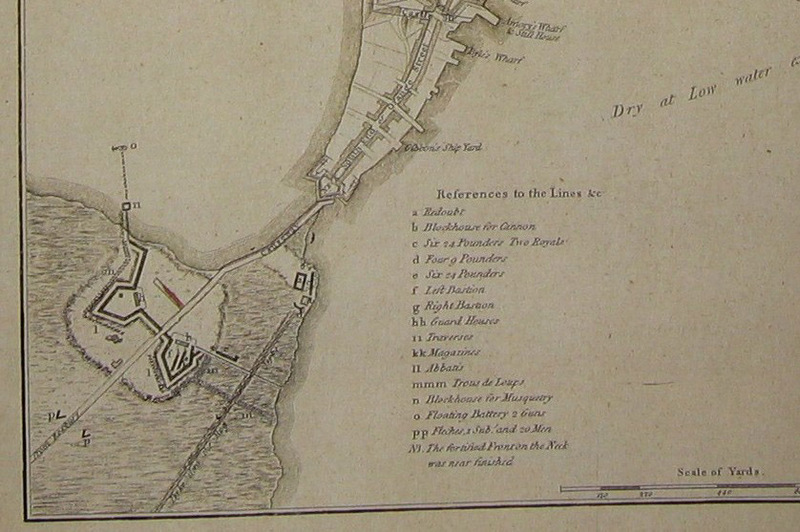 Before Revere crossed the river, he passed the word to Robert Newman to show two lanterns from the tower of Old North. Neither Dawes nor Revere depended on the signal to carry out his mission. Boston Neck was originally about 120 feet wide at normal high tide. A wooden gate and earthen wall controlled passage as early as 1631. There was a wooden gallows just outside the gate, and burglars, pickpockets and murderers were commonly executed in those days. Billy delivered the warning to Adams and Hancock in Lexington sometime after midnight. 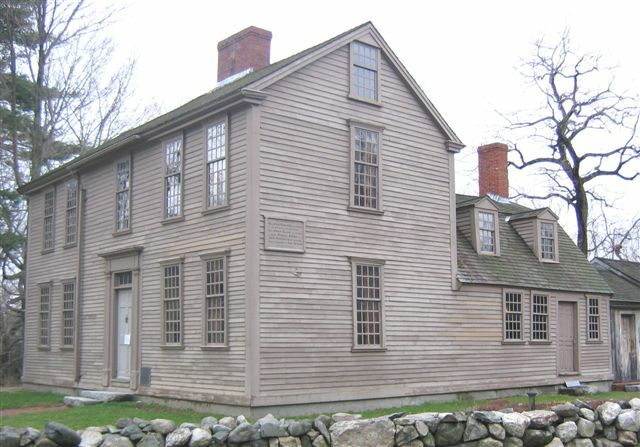 At the Clarke-Hancock house, he found that Revere, who had a somewhat shorter route  13 miles, compared to 17 for Billy  had arrived about 30 minutes earlier. After resting for a short time, the two of them mounted again to ride on to Concord. Some distance out of Lexington, they were joined by Dr. Samuel Prescott, who happened to be returning to Concord after visiting his girl friend, and they quickly established that Prescott shared their resolve to thwart the British. Shortly thereafter, they were challenged by a British patrol, which tried to place them in custody. But the three were not about to yield so easily, and they charged off in different directions. Revere was captured and his horse seized, though he later escaped and made his way back to Lexington. Thinking fast, Billy Dawes improvised, yelling as if he were calling on imaginary rebel allies in the dark shadows. The ruse worked, and the soldiers broke off their pursuit. However, near an abandoned building Billys horse apparently spooked, pitched him to the ground and ran off. It was left to Prescott, the local boy with his superior knowledge of the terrain, to make his way to Concord and spread the alarm. After the ride to Lexington, Billy Dawes joined the Continental Army during the siege of Boston, and he fought at Bunker Hill just two months later. He was awarded a commission as commissary, or supplier of provisions, to the army. He divided his time between Boston and Worcester, where he had taken his family for safekeeping. He continued in the grocery business after the war but his health was poor, and he died in 1799 at the age of 53. (See William Dawes' Final Resting Place for the remarkable and recent story about the discovery of William Dawes' actual burial location.) Dr. Joseph Warren died at the Battle of Bunker Hill. Robert Newman, who hung the lanterns in Old North Church, was later arrested by British troops and imprisoned for a time. He had a troubled life after the war and committed suicide in 1804. Dr. Samuel Prescott died in 1777 as a prisoner of the British. Samuel Adams, John Hancock and Paul Revere survived the war and were politically active in the new nation. Both Adams and Hancock became governors of Massachusetts. Gen. Thomas Gage was recalled to London in October, 1775, and never returned to America. Thanks to the efforts of C. Burr Dawes, Billys ride through Cambridge is commemorated by a memorial located just off Cambridge Common. The site features historical displays, a bronze plaque illustrating his route, and bronze horseshoes set into the footpath. The memorial was dedicated in 1975, on the 200th anniversary of the ride. Those who are interested in the historical and political context of the ride, its details, and its importance in American history could do no better than consult the excellent, comprehensive and carefully-researched book, Paul Reveres Ride, by David Hackett Fischer, Oxford University Press, 1994. In his book, Dr. Fischer also investigates and analyzes the various myths surrounding the Dawes-Revere ride of April 18-19, 1775.